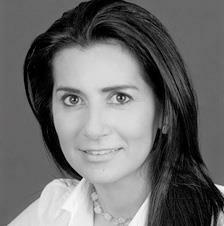 Natalí Sequeira joined ICSID in September 2005. Prior to joining ICSID, she worked as a Senior Consultant with Ernst & Young (2004 – 2005), as a foreign associate with the law firm of White & Case in Washington, D.C. (2003 – 2004) and as a consultant with KPMG (2000 – 2002) and PricewaterhouseCoopers (1998 – 2000). She holds degrees from Georgetown University Law Center (LL.M. in International Legal Studies) and the University of Costa Rica (Juris Doctor and Bachelor in Business Administration).